It’s 6 am: the bedroom lights automatically turn on, you smell the enticing aroma of coffee brewing, the thermostat kicks in - the AC starts, and your favorite Radiohead song welcomes you to the day. Good morning! Welcome to life in a smart home. It's pretty easy to set up: all you need are the right gadgets. Here’s a list of five products to make life a little sweeter (and easier). So here’s how it works. First, you'll need a Smart Hub. Your smart home needs a command central, or a brain, that wirelessly connects with an assortment of smart devices and makes them all work together. Think Samsung’s SmartThings, AmazonEcho, Wink Hub. 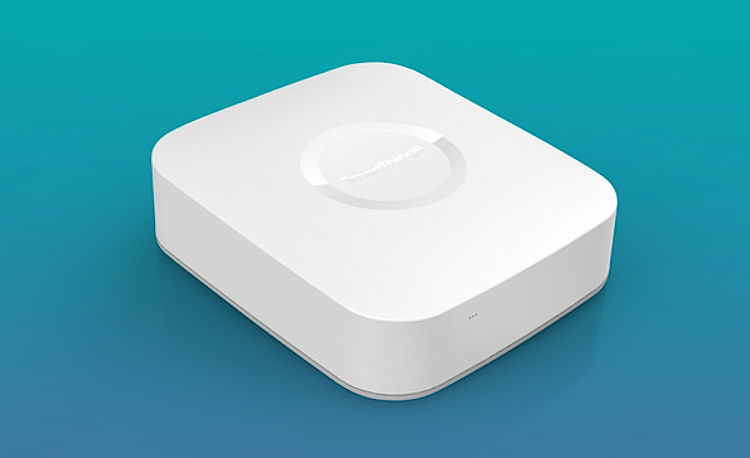 The smart hub is typically a small box that sits near your internet router and requires an ethernet cable to connect to your network and a power cable for electricity. You can then monitor everything from your app: an appliance, a light bulb, a thermostat, a security system. 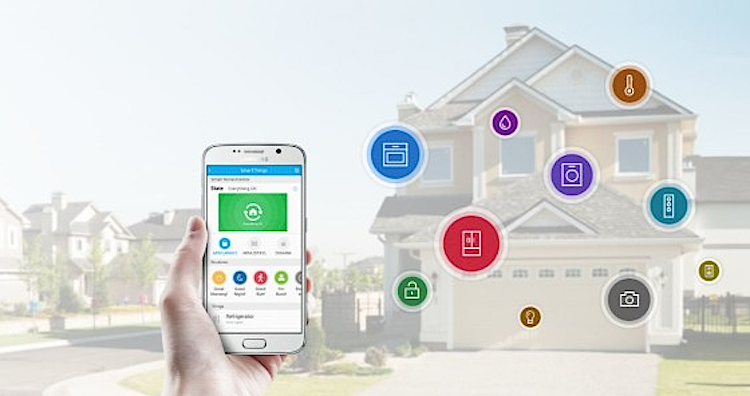 SmartThings from Samsung is highly ranked and is an easy way to turn your home into a smart home. You'll also get a free SmartThings app for mobile use. We can’t seem to get enough of Nest products! The good news is there's promise of a less expensive line coming in our future. 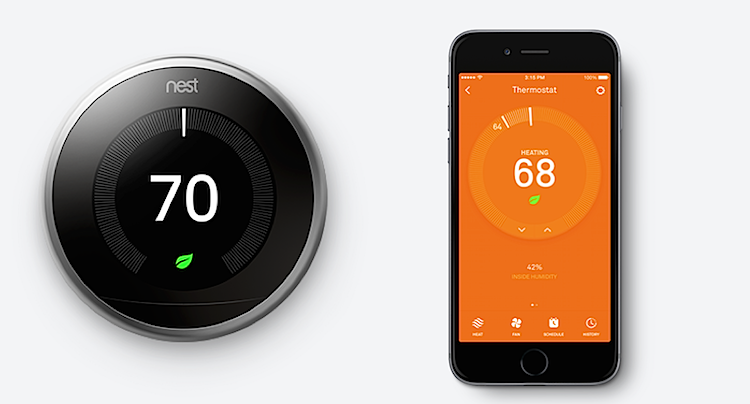 The most popular Nest product is the Nest thermostat. It learns your habits and does all kinds of cool things like automatically lowering the temperature when no one is home, and when the Nest thermostat spots you from across the room, it lights up to show you the time, temperature or weather. Now that’s true love! In the 1970s, it would take about 30 minutes for a fire to take over a room; today, it can take less than five! * Scary right? With its friendly, human-like voice, you can now expect more from your smoke alarm. Not only will Nest tell you what’s wrong and alert your phone, the new Nest Protect has an industrial-grade smoke sensor, tests itself automatically, and lasts up to a decade. And if your alarm goes off while cooking for the family, you can "hush" from your phone without any extra hardware. *(source: Nest website). If you travel a lot or have a weekend home and need reassurance all is happy on the home front? 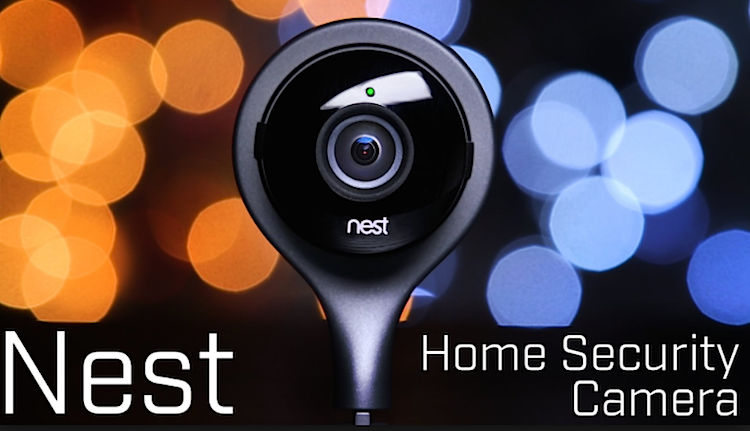 Let Nest Cam babysit for you. Rest assured knowing there is 24/7 live streaming, no dead battery issues, and that you can monitor your house from afar. Like all connected home devices, Nest Cam can only work when your Wi-Fi is working. There are more features too. Don’t want to miss a thing? With Nest Aware, you can get a special alert if Nest Cam sees a person, and save 10 or 30 days of continuous video history in the cloud. Then speed through it in seconds and quickly find the moment you’re looking for in Sightline. Google Home Promises to make everyday tasks effortless. It’s a voice-activated speaker powered by Google Assistant. All you have to do is ask your Google Assistant (GA) to do things for you. Think of someone telling you.... “Your wish is my command!” All you have to say is - “OK Google, set the thermostat to 65 degrees”, OK Google, “stream my Summer Pandora musicplaylist”, or “OK Google, turn on the bedroom lights”. You can also ask your GA about the weather, traffic, finance and sports. Yes, it's that easy! And much nicer than having that messy roommate around! Plus your GA doesn’t complain about anything! Google Home is compatible with YouTube, Pandora, GooglePlan Music, Honeywell, Nest, Philips Hue lighting, and more. If you prefer Amazon - you can do pretty much the same with Amazon Alexa. Simply put, this is a plug-in outlet... but not any old plug-in. Here you can control lights, electronics, and small appliances. Lights can be programmed to turn on and off when doors are opened or when there’s activity in your home. 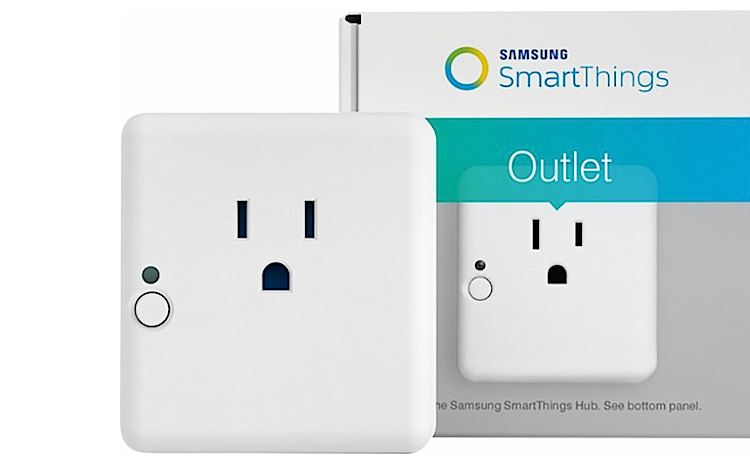 The Samsung Outlet is compatible with Google Assistant or Amazon Alexa. So, there you have it. Welcome to the Internet of Things or IoT - the gateway to the modern world and ‘Jetsons’ style automation. It’s like having a new friend with (real) benefits!